Credit default swaps (CDS) are frequently credited with being the cause of AIG’s collapse during the financial crisis. A Reuters article from September 2008, for example, notes “[w]hen you hear that the collapse of AIG […] might lead to a systemic collapse of the global financial system, the feared culprit is, largely, that once-obscure […] instrument known as a credit default swap.” Yet, despite the prominent role that CDS played during the financial crisis, little is known about how individual financial institutions utilize CDS contracts on individual companies. In a recent New York Fed staff report, we assess the choice banks face when trading the idiosyncratic credit risk of a firm, and argue that banks’ participation decisions have been affected in the post-regulation period, either by direct changes in market structure or by changes in the relative cost of pursuing different strategies. The post-crisis regulatory reform efforts to improve capital and liquidity positions of regulated institutions provide incentives for banks to change not only the structure of their own balance sheets but also how they interact with their customers and other market participants more generally. A 2015 PwC study on global financial market liquidity, for example, noted that “[a]s banks respond to the new regulatory environment, they have sought to make more efficient use of capital and liquidity resources, by reducing the markets they serve and streamlining their operations.” In this blog post, we provide an overview of three recent New York Fed staff reports that study the impact that post-crisis regulation has had on the willingness and ability of regulated firms to participate in U.S. over-the-counter (OTC) markets. What Happens When Regulatory Capital Is Marked to Market? Minimum equity capital requirements are a key part of bank regulation. But there is little agreement about the right way to measure regulatory capital. One of the key debates is the extent to which capital ratios should be based on current market values rather than historical “accrual” values of assets and liabilities. 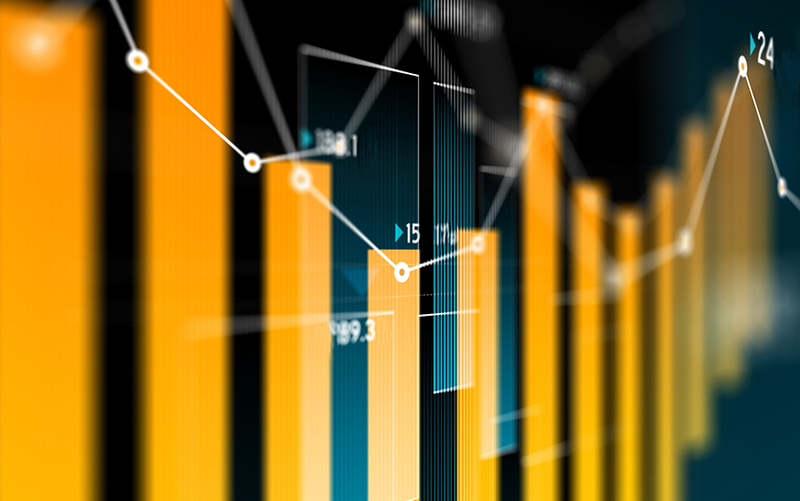 In a new research paper, we investigate the effects of a recent regulatory change that ties regulatory capital directly to the market value of the securities portfolio for some banks. The Consumer Financial Protection Bureau (CFPB), created in 2011, is a key element of post-crisis U.S. financial regulation, as well as the subject of intense debate. While some have praised the agency, citing the benefits of consumer financial protection, others argue that its activities involve high compliance costs, increase uncertainty and legal risk, and ultimately reduce the availability of financial services for consumers. We present new evidence on whether the CFPB’s supervisory and enforcement activities have significantly affected the supply of mortgage credit, or had other effects on bank risk-taking and profitability. Many market participants believe that large financial institutions enjoy an implicit guarantee that the government will step in to rescue them from potential failure. These “Too Big to Fail” (TBTF) issues became particularly salient during the 2008 crisis. From the government’s perspective, rescuing these financial institutions can be important to avoid harm to the financial system. The bailouts also artificially lower the risk borne by investors and the financing costs of big banks. The Dodd-Frank Act attempts to remove the incentive for governments to bail out banks in the first place by mandating that each large bank file a “living will” that details its strategy for a rapid and orderly resolution in the event of material distress or failure without disrupting the broader economy. In our recent New York Fed staff report, we look at whether living wills are effective at reducing the cost of implicit TBTF bailout subsidies. Several academic papers have documented investors’ willingness to pay a premium to hold money-like assets and focused on its implications for financial stability. In a New York Fed staff report, we estimate such premium using a quasi-natural experiment, the recent reform of the money market fund (MMF) industry by the Securities and Exchange Commission (SEC). The financial crisis of 2007-08 and the ensuing recession, the most severe since the 1930s, prompted a wave of regulatory reforms: tighter bank capital and liquidity rules, new failed bank resolution procedures, a stand-alone consumer protection agency, greater transparency in money market funds, central clearing of derivatives, and others as well. As these reforms have gradually taken effect, a healthy debate has emerged in the policy and academic communities over their efficacy in achieving their intended goals and possible unintended consequences. Have the Biggest U.S. Banks Become Less Complex? The global financial crisis, and the ensuing Dodd-Frank Act, identified size and complexity as determinants of banks’ systemic importance, increasing the potential risks to financial stability. While it’s known that big banks haven’t shrunk, the question that remains is: have they simplified? In this post, we show that while the largest U.S. bank holding companies (BHCs) have somewhat simplified their organizational structures, they remain very complex. The industries spanned by entities within the BHCs have shifted more than they have declined, and the countries in which some large BHCs have entities still include numerous “secrecy” or tax-haven locations. Did the Dodd-Frank Act End ‘Too Big to Fail’? One goal of the Dodd-Frank Act of 2010 was to end “too big to fail.” Toward that goal, the Act required systemically important financial institutions to submit detailed plans for an orderly resolution (“living wills”) and authorized the FDIC to create an alternative resolution procedure. In response, the FDIC has developed a “single point of entry” (SPOE) strategy, under which healthy parent companies bear the losses of their failing subsidiaries. Since SPOE makes the parent company responsible for subsidiaries’ losses, we would expect that parents have become riskier, relative to their subsidiaries, since the announcement of the SPOE strategy in December 2013. Do bond raters and investors share this view?